2015 MA alum Kendall DeLashment will be performing as part of the celebration of the release of Sunnie Storm’s second project “Heliocentric” sponsored by Chicago DCASE at Reva and David Logan Art Center. The event will take place Friday, August 7, 2015 from 6:00 PM to 9:00 PM. 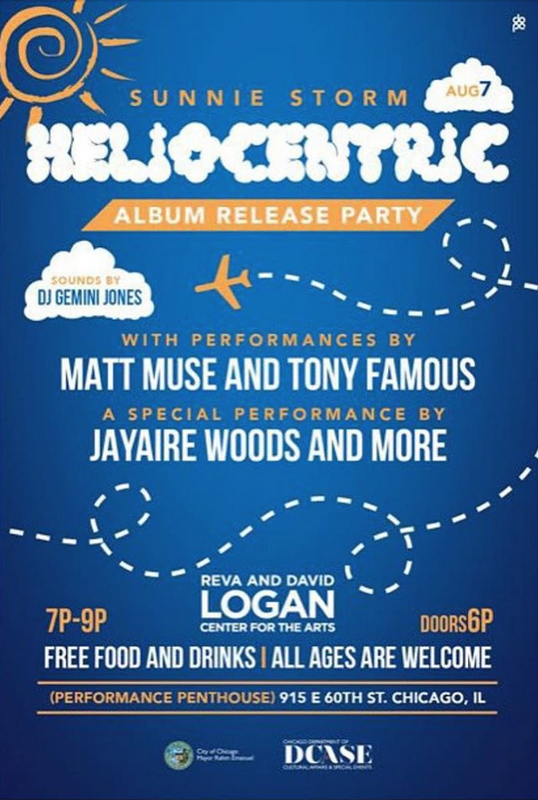 DeLashment will perform as Tony Famous along with Donda’s Houses’ Matt Muse and Jayaire Woods, with Sounds by DJ Gemini Jones. There is no entry fee, with free food & drinks provided. All ages are welcome! The Reva and David Logan Center for the Arts is located at 915 East 60th Street in Chicago.